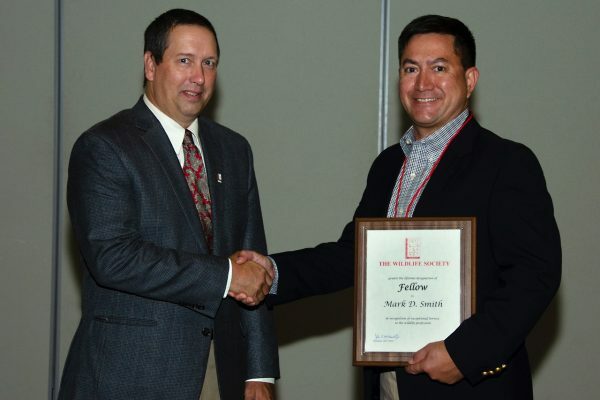 Auburn University Wildlife Professor and Extension Specialist Mark D. Smith was recently appointed as a fellow by The Wildlife Society in recognition of his exceptional service to the wildlife profession. Founded in 1937, the 10,000-member organization is internationally known as a leader in the fields of wildlife science, management and conservation. Smith was one of only nine wildlife professionals selected as fellows in 2018 and is the only Auburn University faculty member ever chosen for the lifetime designation by The Wildlife Society. Smith is the W. Kelly Mosley Environmental Professor in the School of Forestry and Wildlife Sciences and a forestry and wildlife specialist with the Alabama Cooperative Extension System. His specialty areas are wild pig damage management, game and non-game population and habitat management. “Mark Smith’s appointment as a fellow of The Wildlife Society not only establishes him as a lifetime ambassador for wildlife outreach but also shines a light on the significance of his work at Auburn,” said School of Forestry and Wildlife Sciences Dean Janaki Alavalapati. 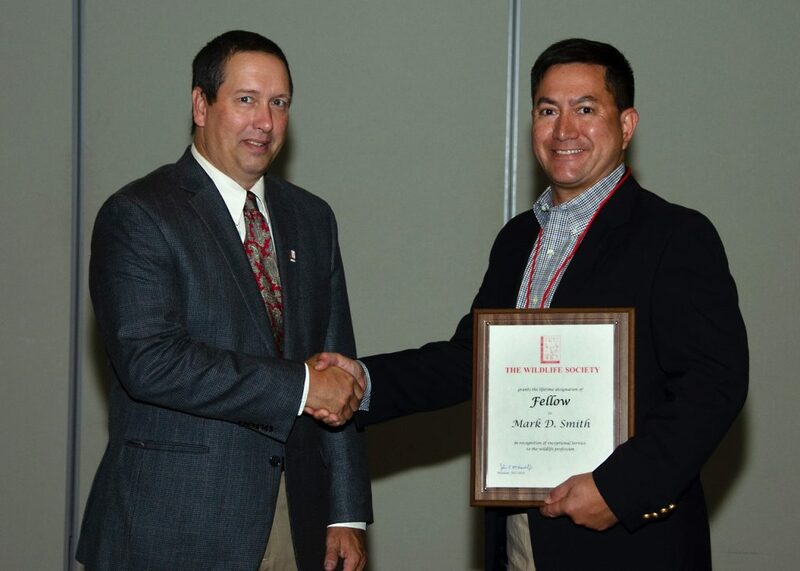 The Wildlife Society President John McDonald presented the award to Smith at the organization’s annual conference in Cleveland, Ohio.